Blowout Sale! Free Shipping Included! 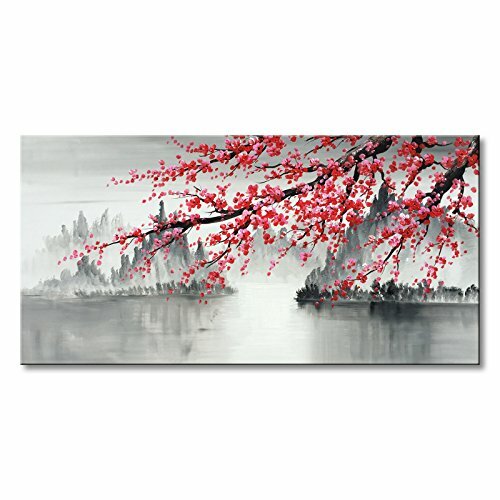 Save 61% on the Traditional Chinese Painting Hand Painted Plum Blossom Canvas Wall Art Modern Black and White Landscape Oil Painting for Living Room Bedroom Office Decoration (48x24 inch) by Seekland Art at HoldUp Art. MPN: unknown. Hurry! Limited time offer. Offer valid only while supplies last. Is this hand painted or printed on canvas? All our paintings are 100% hand painted oil painting by our artists from sketch to finish, step by step.